This year’s course improves on last year’s as it’s been lengthened to 6k instead of 5k, providing even more treacherous terrain to be covered in your mission to evade the insatiable zombies. On top of that, this year’s obstacles are bigger and better than ever before, with new obstacles including the exhilarating Giant Water Slide. There are also a few other spooky surprises to make this year’s run a little more daunting. Zombie Run is an obstacle run with a fiendish Halloween twist â€“ think Rampage meets The Walking Dead. 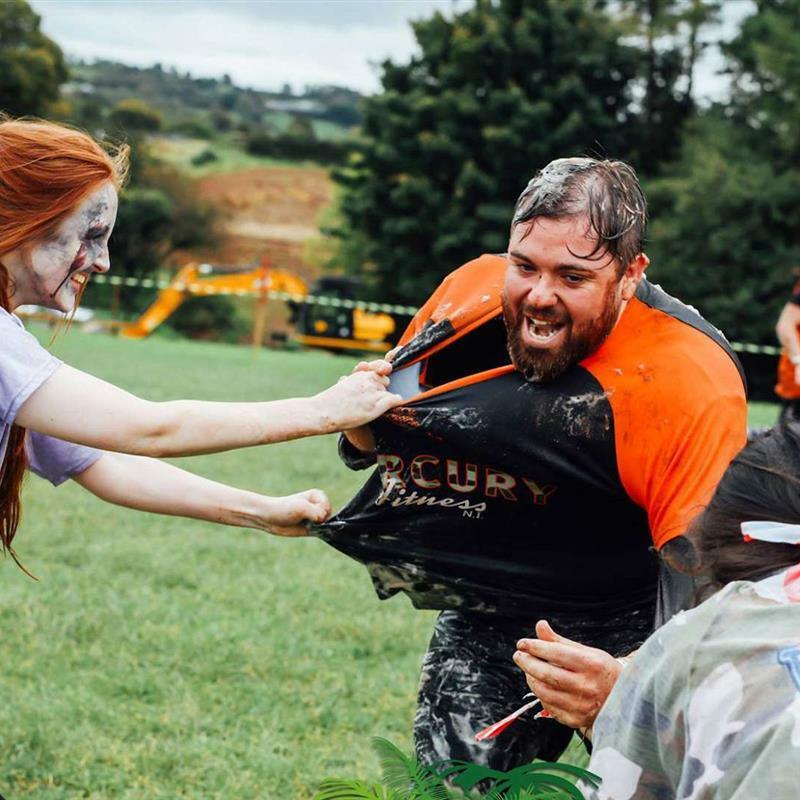 Each runner starts with three lives (represented by flags worn about the waist) but, in addition to the running, the overcoming of obstacles and the manoeuvering through mud, runners also face zombies who will give chase in attempt to steal one of their three lives. On Saturday 6 October, the over 16s 6k Zombie Run begins at 2pm. Please register at least 45 minutes before your allocated race time. Upon finishing the run you will receive a medal, headband and a hot lunch. Fancy dress is welcome.